German Bundesliga leaders Borussia Dortmund is reportedly open to the sale of chelsea forward Christian Pulisic when the transfer window reopens in the next few weeks. The is according to the publication from popular English media portal Daily Mirror. It was revealed that Borussia Dortmund have already sounded out Premier League clubs that Christian Pulisic is for sale for the right price. Premier League sides like Liverpool, Chelsea and Manchester United are all interested in the American international forward. German champions Bayern Munich are also keen on a transfer for the 20-year-old as a potential replacement for veteran Dutch winger Arjen Robben who will leave the Allianz Arena at the end of this season. It remains to be seen whether Borussia Dortmund will be willing to let Pulisic join a direct rival. The aforementioned report also claims that Borussia Dortmund will sell the player for at least £50m when the January transfer window reopens in three weeks time. 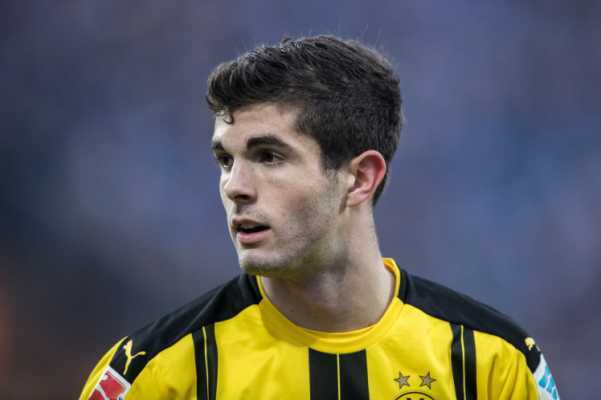 Borussia Dortmund sporting director Michael Zorc had earlier hinted that Christian Pulisic was not indispensable. The club chief revealed that essential players won’t be sold in the upcoming transfer window. Christian Pulisic is no longer a regular at Borussia Dortmund after losing his place to young forwards Jadon Sancho and Johann Bruun Larsen.